Fulfill your lifelong dream of visiting the awe-inspiring Grand Canyon on the South Rim Motorcoach Tour. Our state-of-the-art touring vehicle will whisk you from your Las Vegas hotel direct to the Grand Canyon National Park, and then return you full of enthusiasm for the natural beauty you have experienced. Enjoy sights of exotic nature as you travel through the Mojave Desert and along the Colorado River to your destination: the Grand Canyon National Park. Knowledgeable commentary by your driver will both inform and entertain you. Learn about the history of the American Southwest, the forces of nature that shaped the scenery, and the ancient people who inhabited the land. After reaching the South Rim, enjoy a hike along its edge and marvel at the immensity of the canyon floor below. Each passenger will receive a meal voucher to redeem at the National Geographic Visitor Center, which houses plentiful educational exhibits. Additional stops at Mather Point and Grand Canyon Village offer awe-inspiring views and add to your Grand Canyon sightseeing adventure. 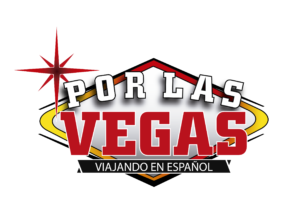 After a long day of exploring, your motorcoach will make the journey back to Las Vegas and return you to your hotel. During checkout, add tickets to the IMAX film “Grand Canyon: The Hidden Secrets” at the National Geographic Visitor Center. Enjoy a meal before continuing your journey to Grand Canyon National Park.